In the early 90s you either had Windows 3.1 (it sucked) or the Mac (it sucked a bit less). Then Windows 95 appeared and for a long time, it ruled the nerd school. But imagine a magical world where Bill Gates and Steve Ballmer threw caution to the wind, took a bunch of drugs and released an OS in 1993. Art project Windows 93 is that parallel universe where drug-addled Microsoft executives released an OS that makes you wonder if the C-Prompt you see is the same C-Prompt I see. 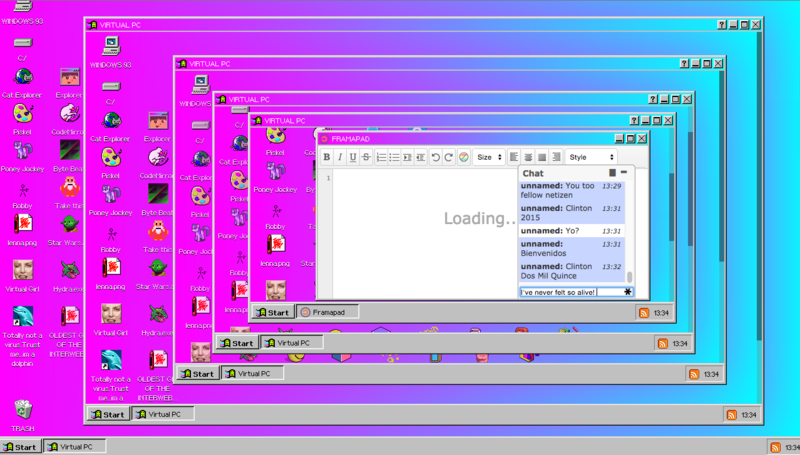 The brainchild of hacker/artists Jankenpopp andZombectro, the project launched in October, but today the duo announced onReddit that Windows 93 is complete and ready for your mid-1990s computing wishes. The in-browser operating system is actually pretty useful if you’re spending the day ignoring all the work your supposed to be doing. There’s a Doom-style game, “Castle GAFA 3D” that you can actually play and the Star Wars AVI launches theASCII animation version of Star Wars Episode IV. 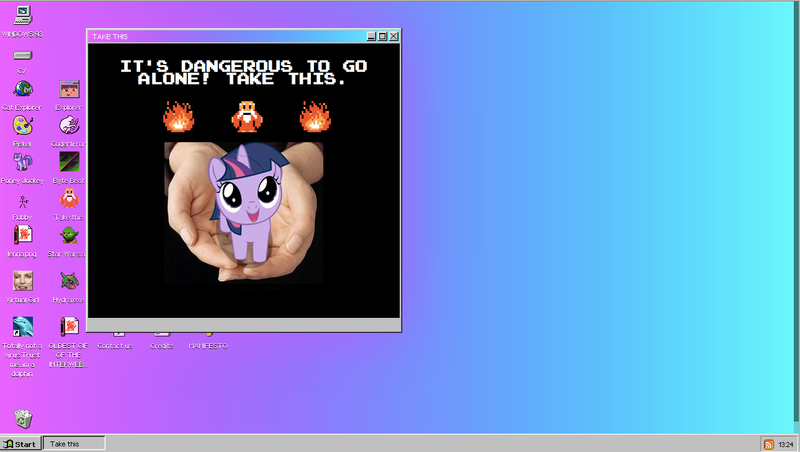 Virtual PC lets you run Windows 93 in a window where you can launch Virtual PC to run Windows 93 in a window where you can launch Virtual PC to run windows 93 in a window… Well, you get the point. I think the FRAMAPAD app is a chat client. I could be talking to people. Maybe I’m talking to bots. I’m not really sure. But really, aren’t we all bots? Launching Robby puts in you a text-based adventure with ASCI art. Spoiler alert, things do not go well for Robby. It’s really just a giant Easter egg of a system filled with 1990’s nerd in-jokes that you can explore without the eventual BSD (Blue Screen of Death) ruining your day. Oh, and you’ll get the BSD. Just you wait and see. 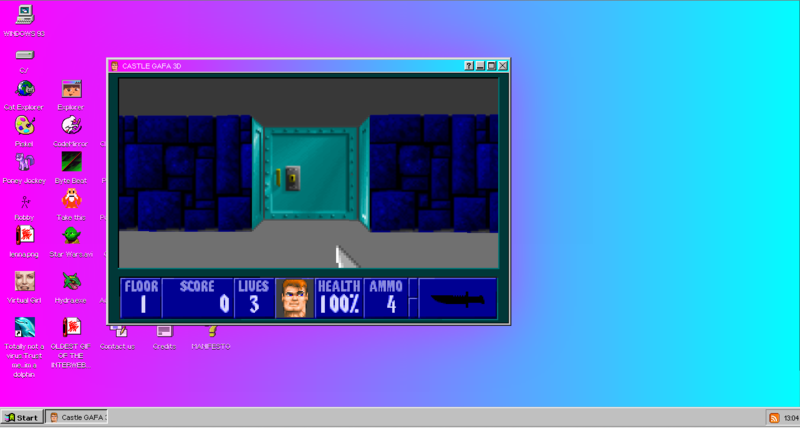 Unless you hate fun, you should give Windows 93 a try. Just don’t click on “Totally not a virus. Trust me.. im a dolphin.” You really can’t trust dolphins. Especially 90’s nerd dolphins.